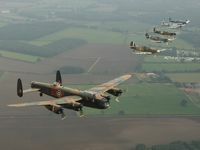 The Battle of Britain Memorial Flight celebrated 50 years in 2007, and underwent a complete refit to fly again in the livery of RAF 550 Squadron Lancaster EE139 the "Phantom of the Ruhr", a ton-up Lancaster that flew her first 30 ops on No. 100 Squadron based at Waltham before completing a further 91 ops on No. 550 Squadron at North Killingholme. She sports the letters HW-R of 100 Squadron on her port side and BQ-B of 550 Squadron on her starboard, effectively commemorating the crews of both Squadrons. 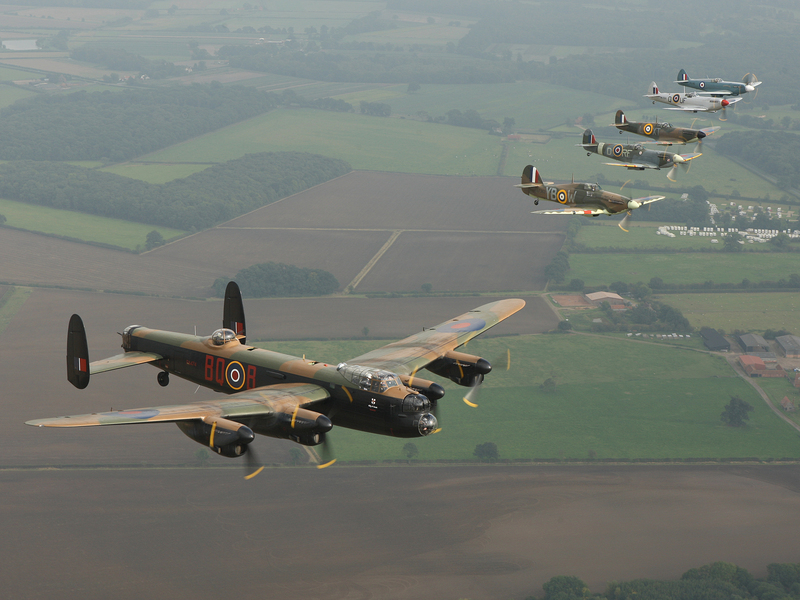 Below are some pictures from a fly-past on Saturday 7 August 2010 over Damyns Hall. Many thanks to Frederick Roll of Grays, Essex for providing some excellent pictures of The Phantom and permission to display them on the site.